What are we tuning into in each moment? There is a wide range of frequencies available to us as human beings. Tuning into sensory experience avails the being to a wider range of frequencies and stirs the life force within. What happens when you tune in to your body now? Where does the awareness go and are you able to stay with the sensations that arise? I haven’t posted for a while and have been consciously feeling for something to say. I didn’t want to add to the cacophony of noise on social media. I don’t want to sell you a product and I don’t want to sell myself either. I experienced many of the posts I read as a sales pitch and felt dissonance in my heart. I felt bombarded by social marketing. Feeling lost, I turned to a source of truth I resonated with and turned within. Gandhi stung me in the heart with this truth. When do I truly put myself last among my fellow creatures? The answer is when I am tuning into my being fully and when grace allows me to lose any sense of the ‘me’. The senses are a gateway to subtle feelings that pulsate with life. When I tune into these subtle sensations and connect deeply with another or a group, fresh responses arise and I feel in tune with the flow of life. What happens when you pay close attention to and feel the response in your body when you meet another being? As I write these words, I am aware of my heart area and it feels like an outpouring from the heart onto the page. This happens without any effort from ‘me’. Another unlikely and yet equally powerful contribution to this post is courtesy of a video by Lady Gaga. She speaks about the process of beginning to connect with her own deeper truth and how this has given her a sense of freedom. We are unconsciously communicating lies. When I go with my habitual and mechanical reaction to the moment, I communicate lies. I am not being with truth because I am reacting with the ‘me’. When I tune in and listen to the bodily response in the moment, the opportunity for a true communication arises. I encourage you to sit with another being in silence for a few moments and notice the sensations that arise in your body. Stay with them. And speak about the experience. Sensations will arise that unlock a whole new dimension for you. My wish is for everyone to live their own unique truth and to follow this exquisite opportunity to tap in to the well-spring of life within. Whatever field you find yourself, your life will begin to flower and have a sweet fragrance. Spread this fragrance far and wide. 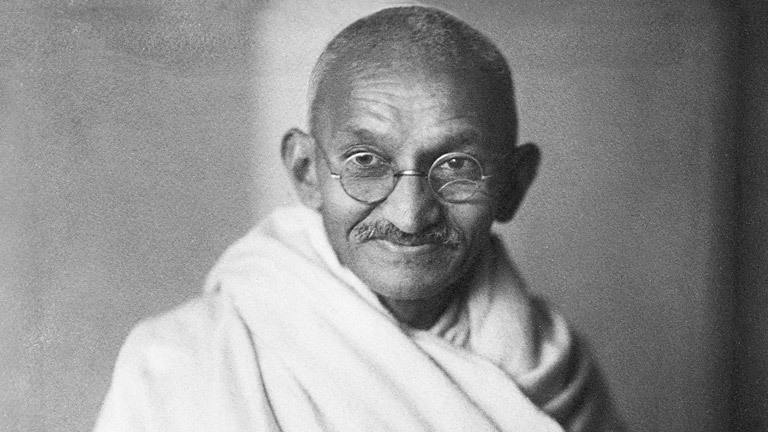 Gandhi first touched me when I was 12 and his rich fragrance continues to find its way into my heart now. My desire is to experience this life in full. And I must reduce myself to zero.